Happy Halloween! 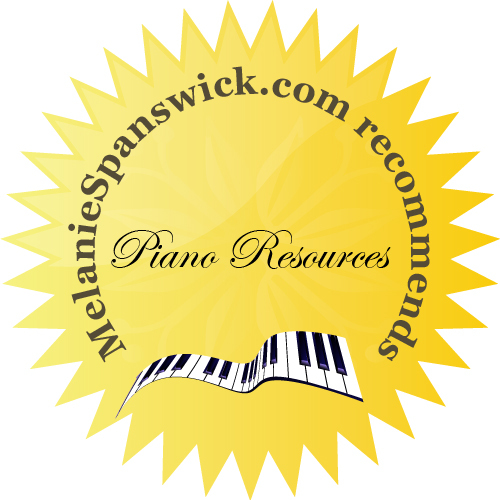 It’s the end of October already, and therefore time for my monthly round-up of useful piano resources. As might be expected for this time of year, there are several Christmas additions (great for students everywhere). Enjoy! 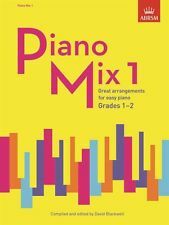 This new series, published by UK exam board, ABRSM, is a selection of arrangements in three graded books. The collection has been complied and edited by David Blackwell, and Book 1 is intended for those of around Grades 1 – 2 level. The arrangements have been written by Alan Bullard, Nikki Iles, Christopher Norton, and Tim Richards, amongst others, and feature very famous tunes, which appear in easy arrangements for those just learning. There is a vast spectrum of styles from Handel’s Fireworks Minuet to Harry. J. Lincoln’s Bees-Wax Rag; from orchestral music to opera, and from folk to jazz, there’s something for everyone. Find out more and get your copy here. 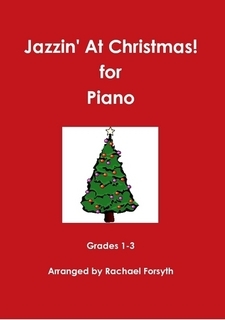 These effective little Christmas piano pieces have been arranged by British composer, saxophonist and music teacher, Rachel Forsyth, and published by Roo Records. The collection features ten arrangements of well-loved festive classics all presented in a jazzy style (as the title suggests!). From swing and blues through to reggae and calypso styles, this book will bring a different take on playing carols. Included are Deck the Halls, Good King Reggae, Not so Silent Night, Ding, Ding Dong! and Holly and Ivy Dance. Suitable for students of around elementary level (or Grades 1 – 3). Listen to some of the pieces here and get your copy here. 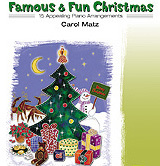 Written by American composer and arranger, Carol Matz, and published by Alfred Music, this group of fifteen piano arrangements is perfect for late elementary to early intermediate players. The series is specially designed and carefully leveled to supplement any piano method. It’s a very useful supplementary series which expands to include popular holiday selections as well as traditional favourites, including Jingle Bell Rock, Sleigh Ride, Winter Wonderland, and Ding, Dong Merrily on High! Download and print sheet music from the Famous & Fun Christmas Series here. 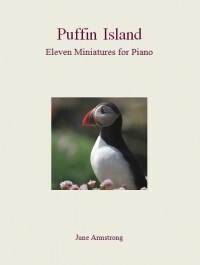 Puffin Island is a set of eleven piano miniatures written by Irish composer June Armstrong. They are around Grades 1 – 4 (elementary and early intermediate) level, and have been beautifully written to reflect the atmosphere and life on Rathlin Island which is situated off the coast of County Antrim in Northern Island. There are helpful notes about each piece at the beginning of the volume, and some performance directions too. Titles include Off to Rathlin! Morning Mist, Puffins, Curlew Calling, and Sunset over Donegal. Great alternative repertoire for between exams, or sight-reading material for higher grades. You can listen and learn more about these pieces here, and get your copy here. 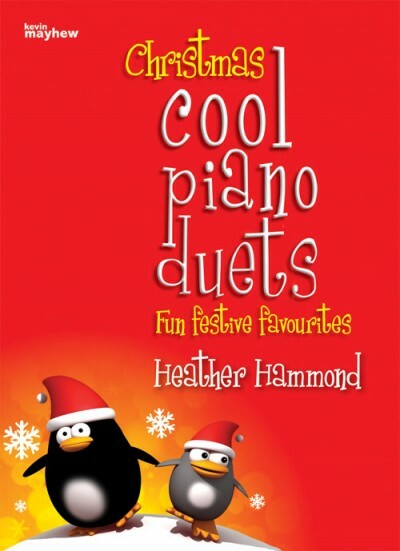 This is a fun volume of Christmas tunes arranged by British composer Heather Hammond and published by Kevin Mayhew. Fairly straightforward in style and difficulty, they would be appropriate for students of Grades 4 – 6 level, but also great sight-reading practice for more advanced levels. The Primo part is generally simpler than the Secondo, which may make this volume ideal for pupils playing with their teachers. Amongst the twelve Christmas pieces are Jingle Bells, Joy to the World, Silent Night, Walking in the Air, We wish you a Merry Christmas and Frosty the Snowman. Perfect for the end of term Christmas concert! Get your copy here. I came across this volume recently. It’s not a new publication, but sometimes it’s beneficial just to highlight various collections. 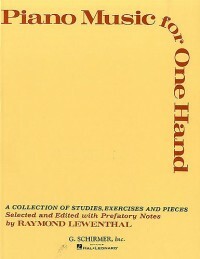 Piano Music for One Hand has been compiled by American pianist Raymond Lewenthal, published by G. Schirmer, and is intended for either students who have temporarily or permanently lost the use of one hand, or any pianist (above approximately Grade 6) who believes their left-hand playing could benefit from some extra practice (or perhaps those who are just fascinated by one-handed repertoire). These pieces vary in difficulty. Some are technical studies, yet they are not just exercises; many of these pieces are beautifully written by a whole spectrum of esteemed composers over several centuries. There are works by J S and C P E Bach, Czerny, Liszt, Scriabin, Bartók, Alkan, Moszowski and Godowsky. The book includes some very useful notes about the history of one-handed music and practice techniques too. Get your copy here. Noviscore.com is a French company established in 2006 which specialises in online sheet music of copious styles and genres, which are available for all different levels. Each individual piece featured in the catalogue has been adapted and arranged for the piano by in-house pianists for up to four different levels of piano playing ability. 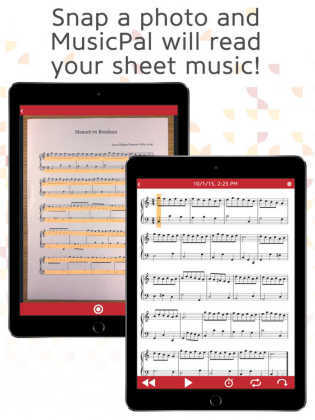 Whether you are a beginner, an experienced player, or a private piano tutor, there is a large selection of music from easy piano sheet music to original scores, which are available for piano solo, or as an accompaniment to another instrument or a singer. Styles include classical, pop, jazz, blues, gospel, movie soundtracks, Christmas, and children’s music. For much more information and to browse the catalogue click here. MusicPal can replicate the sound of a piece of music merely by scanning a photo. So take a picture with your phone or device and MusicPal will play it for you. You can listen note by note, loop phrases, and even isolate the treble or bass clef. Apparently every photo you take and tile-matching game you play will improve MusicPal’s accuracy. It’s always handy to ‘know’ instantly what your sheet music sounds like! This could be a helpful app for students especially. You can find out much more here. This new volume has been written by British pianist, composer and teacher Nancy Littenand is published by Alfred Music. It has been conceived for pianists and is essentially ‘everything the pianist needs to know’ about directing choral and vocal warm-ups. The book is very comprehensive, starting with harmonized major scales in all keys (which are conveniently written out), then there are chapters on body relaxation, breathing, using vowels, focusing tone, intonation, diction, agility, gentle warm-ups, sight-singing, ice-breakers, and finally, tips for accompanying solo singers. This will prove an invaluable resource for all those associated with church music, and anyone rehearsing choirs. There are extensive tips and helpful musical examples too. Get your copy here.